Chibaya is a famous and popular shop for Daigaku-imo. 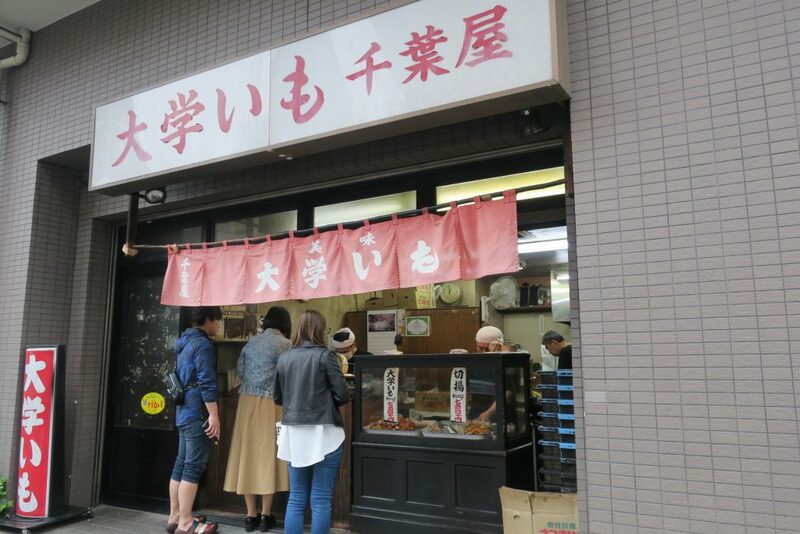 The shop has opened in Asakusa since 1950. 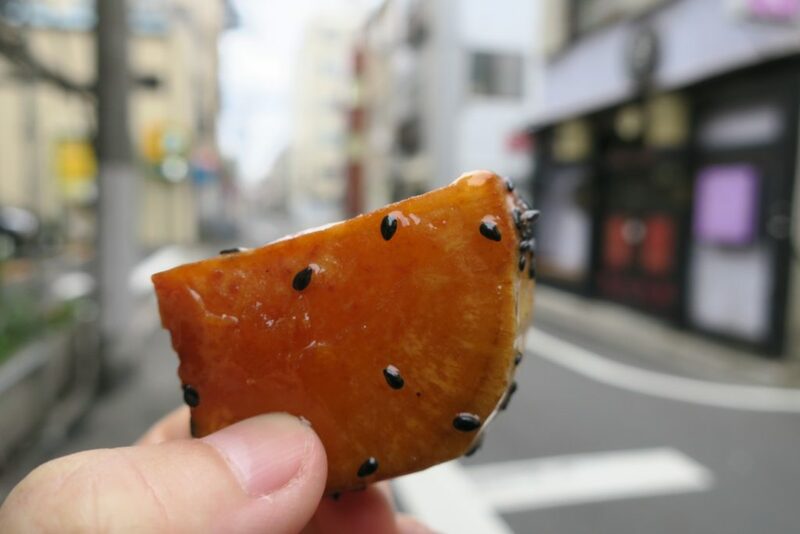 Daigaku-imo is fried-candied sweet potato and a traditional Japanese sweet. You can always purchase fresh Daigaku-imo at Chibaya. 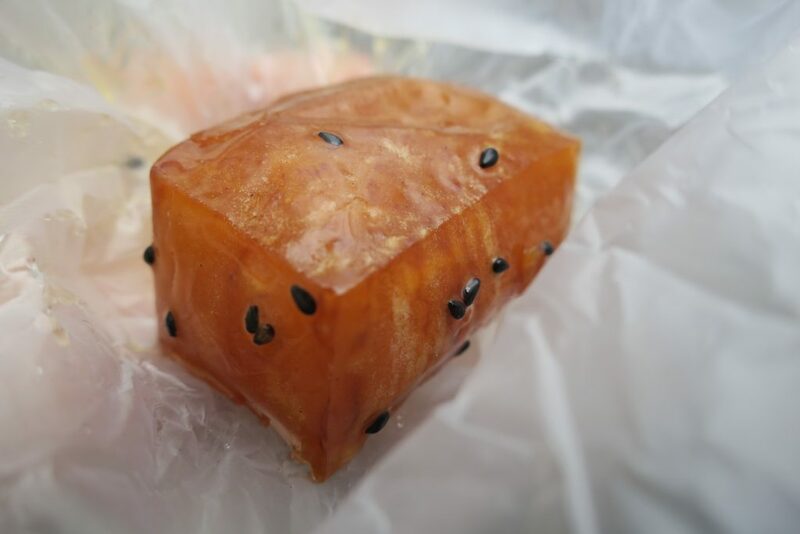 There are 2 kinds of Daigaku-imo: normal and sliced. The normal Daigaku-imo is my recommendation. It is better to eat it as soon as possible. Daigaku-imo is very delicious while it’s hot. 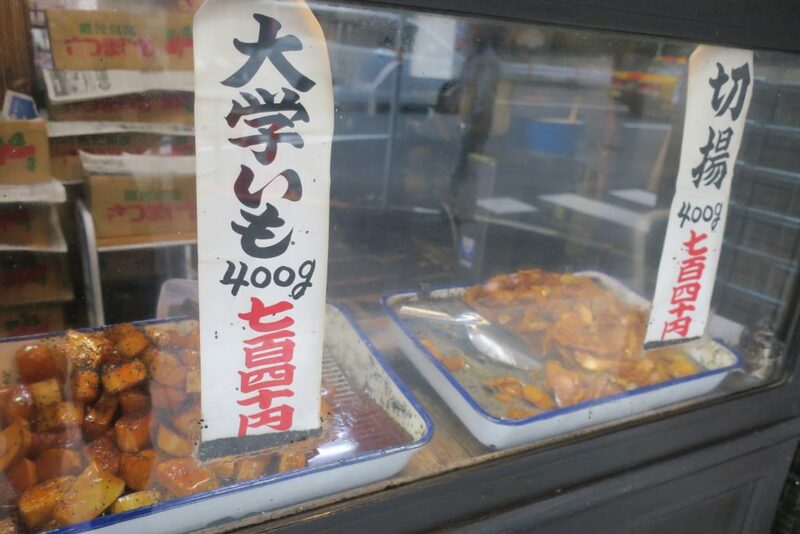 Menu: Daigaku-imo(大学いも, 740jpy/400g), Kili-age(切揚, 740jpy/400g). Note: You can purchase Daigaku-imo from minimum 200g.